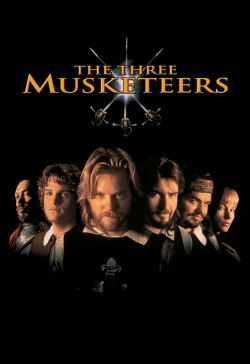 The three best of the disbanded Musketeers - Athos, Porthos, and Aramis - join a young hotheaded would-be-Musketeer, D'Artagnan, to stop the Cardinal Richelieu's evil plot: to form an alliance with enemy England by way of the mysterious Milady. Rochefort, the Cardinal's right-hand man, announces the official disbanding of the King's Musketeers. Three, however, refuse to throw down their swords - Athos the fighter and drinker, Porthos the pirate and lover, and Aramis the priest and poet. Arriving in Paris to join the Musketeers, D'Artagnan uncovers the Cardinal's plans, and the four set out on a mission to protect King and Country.